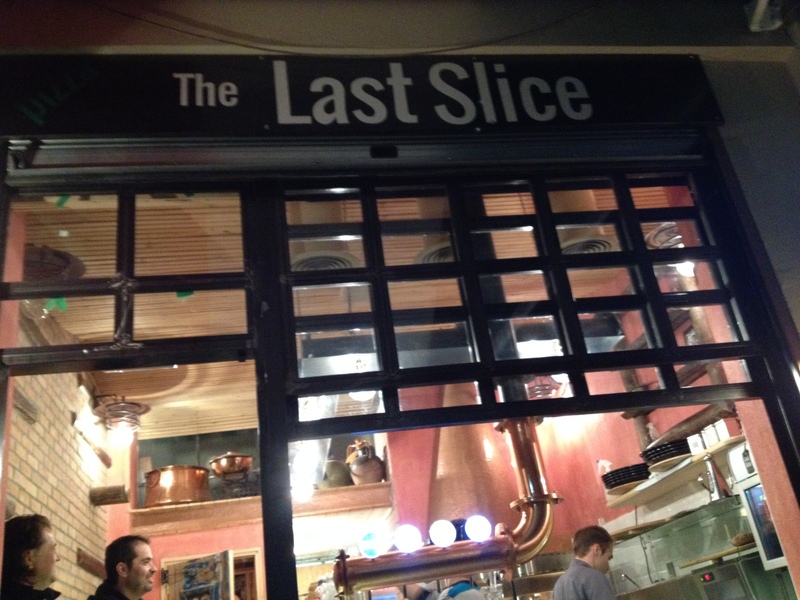 After a week of Greek food Neil and I were very happy to discover The Last Slice a little hole in the way pizza shop with two communal tables on the street there serves a very tasty selection of pizza. They were open late and when we left at around midnight they were still putting fresh pies in the display case – the two young hipster working here couldn’t have been sweeter, when I tried to pay up front after I ordered he just said: after – I will bring to you later you pay. 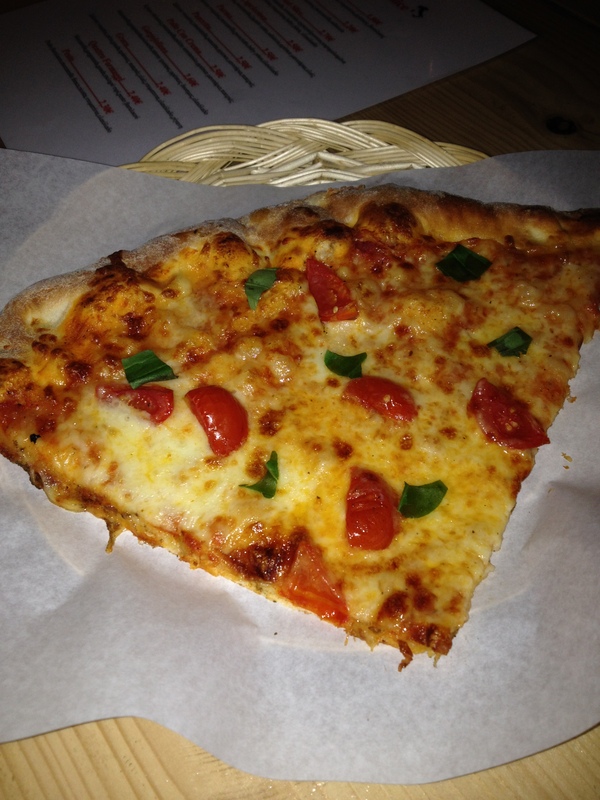 The classic Margherita was served with a sprinkling of fresh basil and sweet fresh cherry tomatoes. So good! 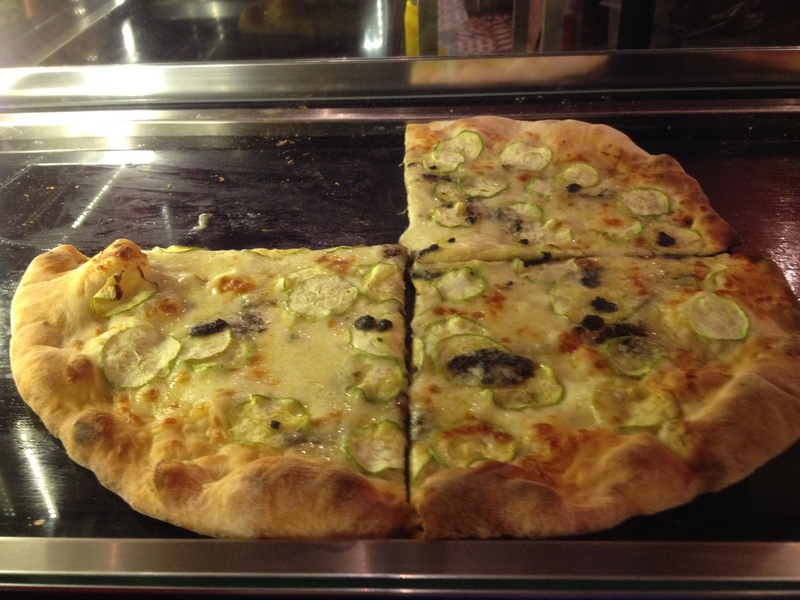 I really regret not trying the pepperoni pizza… below a creative zucchini and black olive pizza. 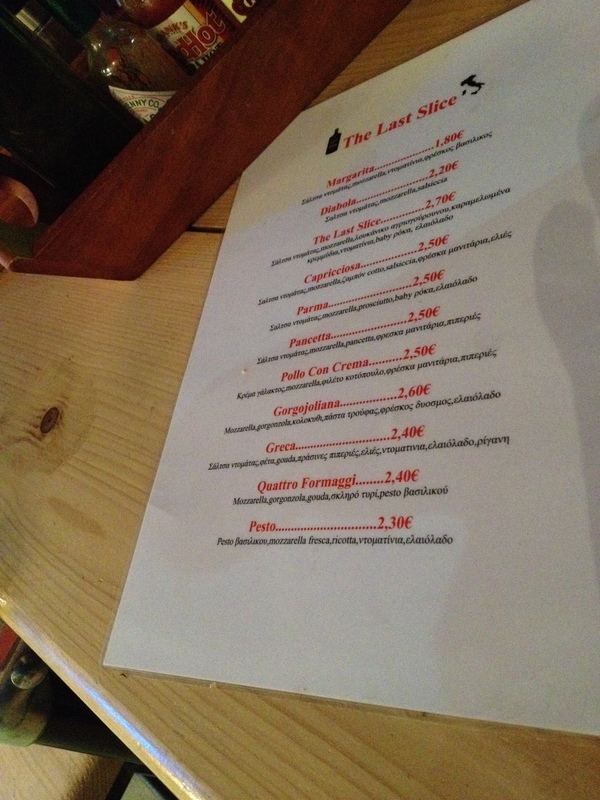 In addition to pizza they had three beers on tap and if you didn’t want beer the bar next store seemed more than happy to serve you drinks. The two animated regulars at the end of our table had an ongoing conversation going with the waitress next store who brought the large mustached man a tall glass of ouzo – their back and forth really made me wish I spoke Greek! 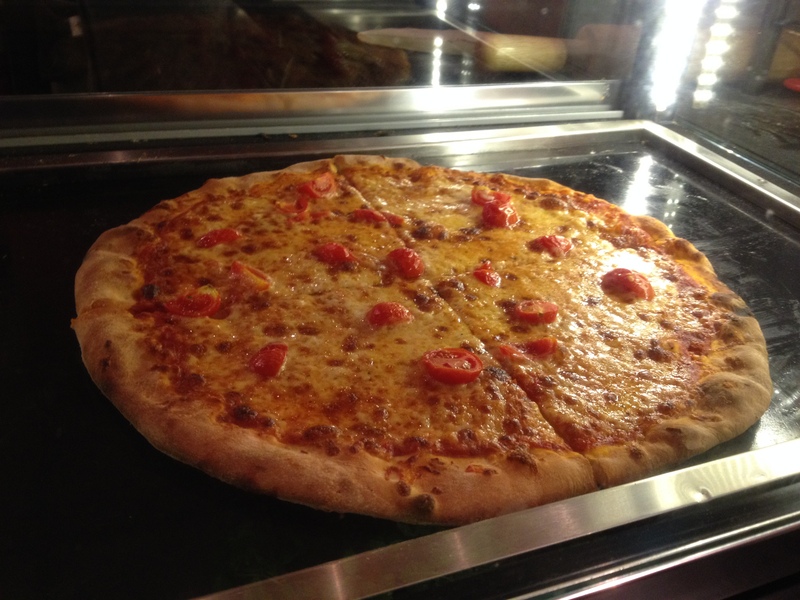 You may wonder why I am writing about a pizza joint in a post about a trip to Greece. 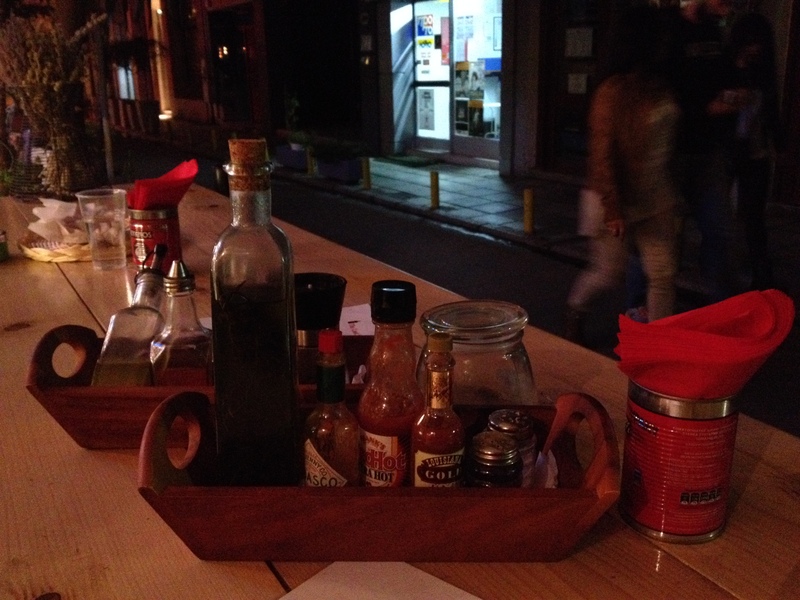 It’s simple: in Thessaloniki there are a ton of Greek restaurants, a ton. As a New Yorker who is used to having a burrito for breakfast dim sum for lunch and ramen for dinner by the end of our 7 days in Thessaloniki we were desperate for anything that wasn’t Greek. Not that the Greek food wasn’t great, it was we didn’t have one bad meal and had many exceptional ones, but variety, after all, is the spice of life. 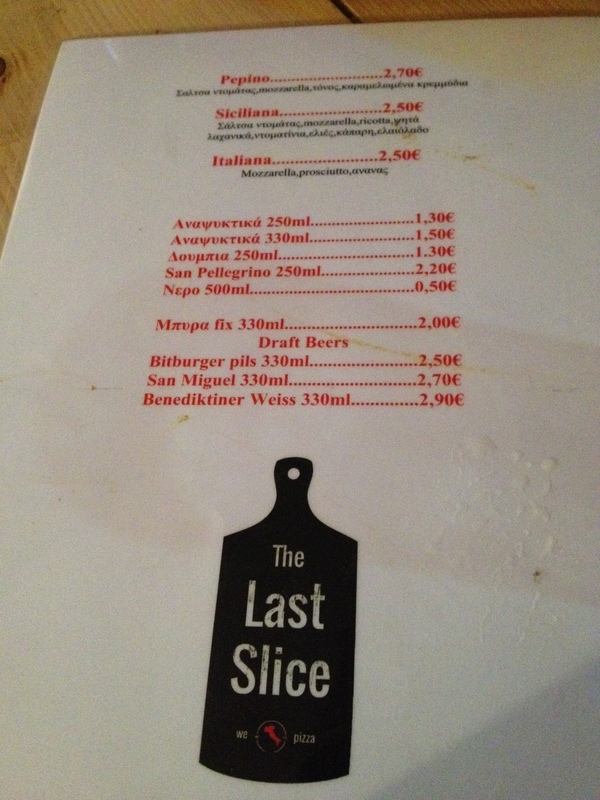 This entry was posted in Travel and tagged Pizza, The Last Slice, Thessaloniki Greece, travel. Bookmark the permalink. We’re exactly the same. 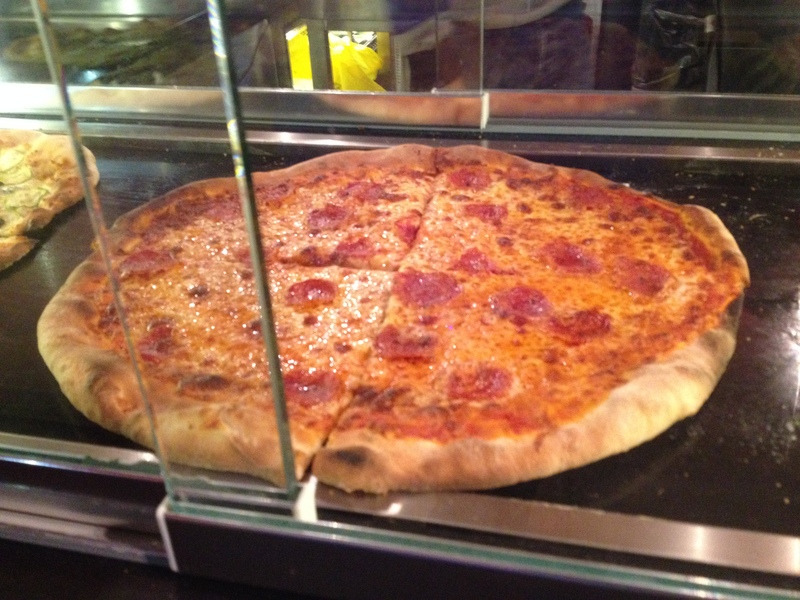 Skip and I never eat as much pizza as we do traveling in Mexico. After a stream of tacos, or farmer’s salad, you need a break and some contrast so you can continue appreciating the local cuisine!